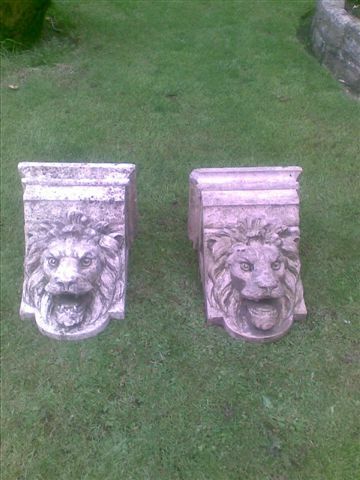 #PC000028 - Lion Head Brackets from Tolkien's former home in Poole, Dorset - 6.500 GBP You chance to own a piece of Tolkien's garden. 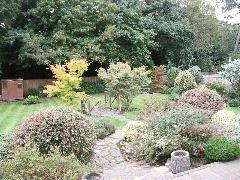 You chance to own a piece of Tolkien's garden. Lion Head Brackets from Tolkien's former home in Poole, Dorset. 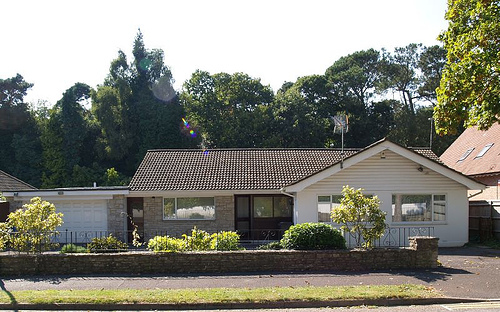 The bungalow Tolkien called "Woodridings" will soon be replaced with two superb contemporary houses. 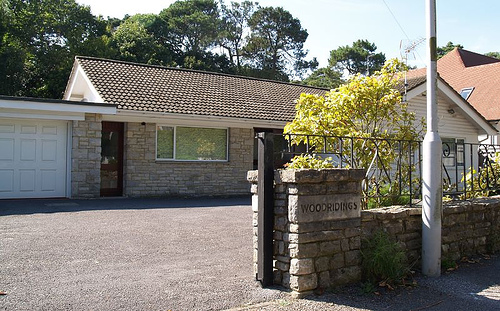 Tolkien bought the house in 1968 after spending many happy years in the area on holiday. 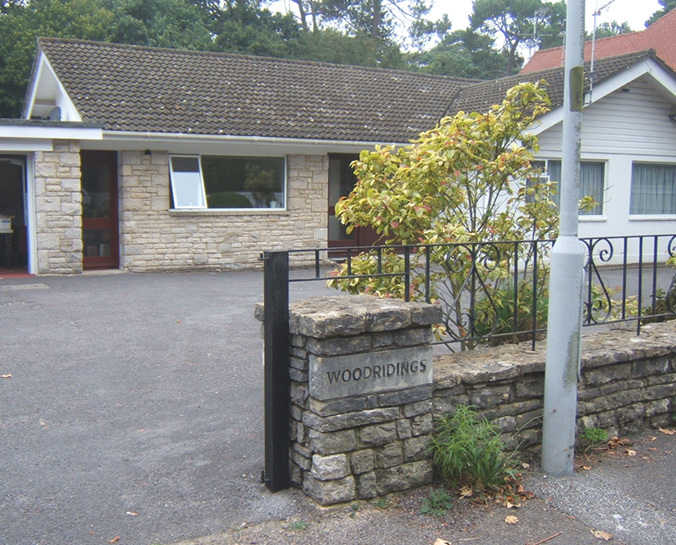 He lived in the three-bed bungalow, which backs onto Branksome Chine, until his wife's death in 1972 when he moved back to Oxford. It came on the market for £1 million in November 2007, sold by the person who bought it from Tolkien himself. 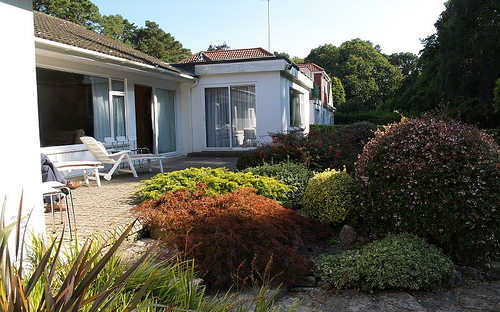 The author, who died in 1973, is said to have found respite from his growing fame there and at the Miramar Hotel, Bournemouth, which he and his wife frequently visited. A commemorative plaque can be seen on the front of the hotel. 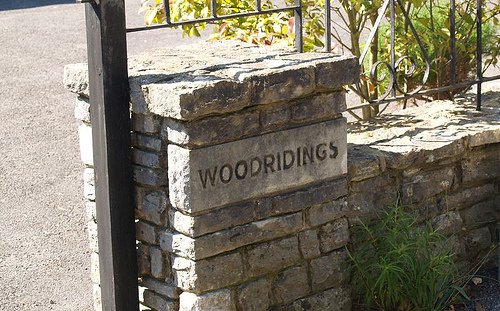 In September 2007 the current owner sold of some of the Tolkien points from Woodridings. 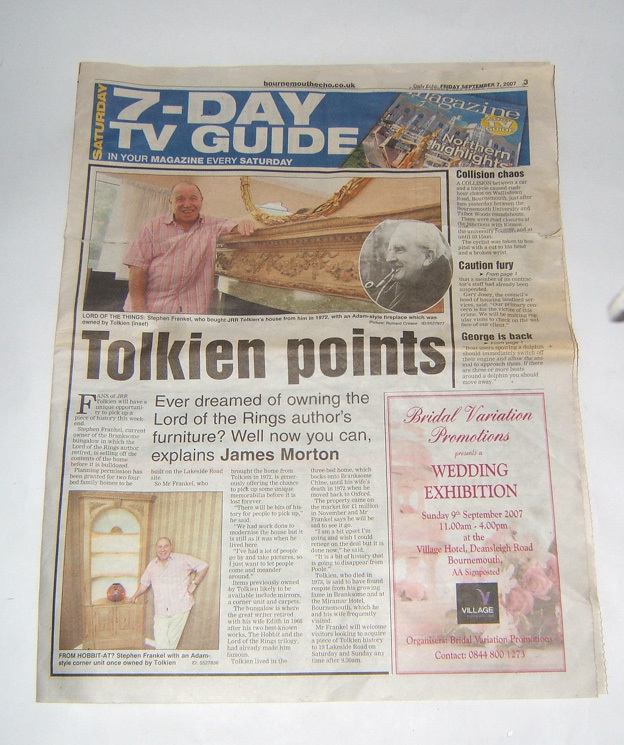 The sale had been announced in the newspaper and some were lucky to see the house from the inside and buy some of Tolkien's furniture. Now the bungalow is going to be demolished and the last remaining features have been removed by the demolisher. These include a wonderful Adam-style fireplace, some garden decorations, doors and a postcard he found behind the fireplace. The Lion head brackets were found in Tolkien's rear garden. 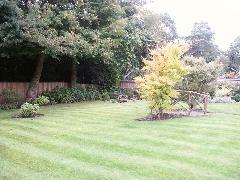 The rear garden was a particular feature of the property with the beautifully maintained landscaped gardens designed by Compton Acres with a substantial paved patio area proceeding from the family room and sitting room. Steps proceeded down to the remainder of the garden which boasted well stocked borders and part laid to lawn with ornamental gardens with Purbeck stone sunken garden to the foot bound by close boarded panelled fence to both sides and rear. A rare chance to own a personal item of one of the 20th Century's greatest authors!